The White Rabbit Ceilidh Band | Goodtime Irish, Folk, Country Dance and Wedding Band. Goodtime Irish, Folk, Country Dance and Wedding Band. 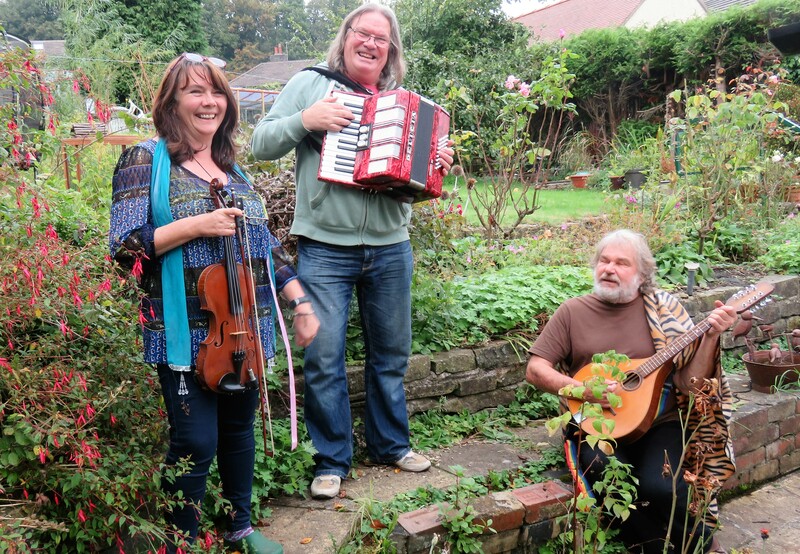 The White Rabbit Ceilidh Band is one of the best Irish, Folk and Country Dance bands in the East Midlands. 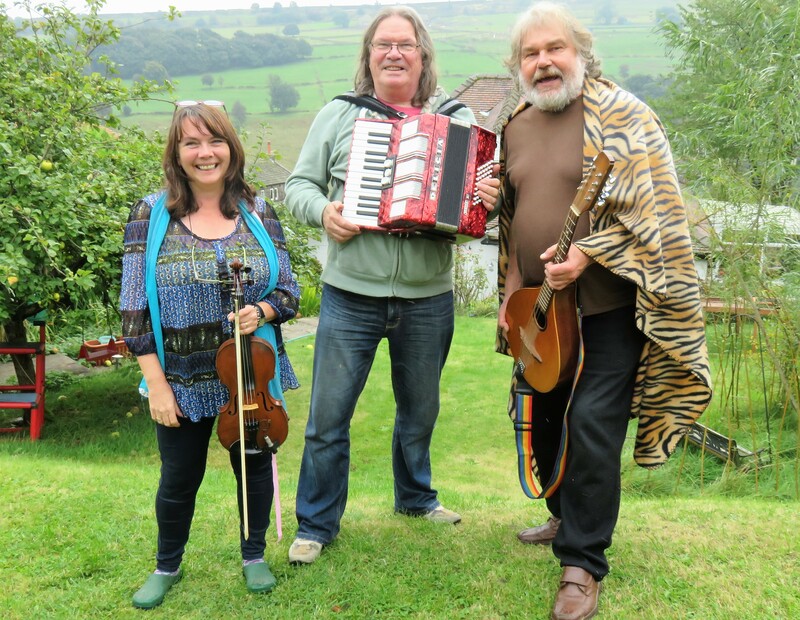 It consists of some of the most renowned musicians in the Leicestershire area. They can make your wedding or special occasion really go with a bang! If you like your music Irish, Folk or Country they are the band for you! What is a Ceilidh (pronounced kay-lee) and what is a Barn Dance? They are essentially the same thing: A group of people gather together to dance to some lively music under the direction of the Caller (the person who gives them all of the instructions of what to do). An authentic Ceilidh tends to have songs in the programme as well. This is what we do. A bit of respite and a sing-a-long between the dances! We can even throw in a few rock and roll numbers as well!! It’s something that appeals to all ages. Why are Ceilidhs so good for Weddings and other social events? Because they mix everybody up and it’s really good fun. You don’t need to be an expert, the Caller tells you exactly what to do and it doesn’t matter if you go wrong, it’s all part of the fun. We specialise in doing lots of big circle dances where people change partners often. We also do lots of great sing-a-long songs to mix it up. How much does it cost and what would I get? The price varies and depends on distance and how many musicians you want in the band. We can go out from a duo to a five piece band. We are fully insured (Public Liability Insurance Policy# 1937165 (Equity) and all the equipment is PAT tested). The musicians play a variety of traditional instruments like accordion, fiddle (violin), drums and/or percussion (depending on size of venue), guitar, mandola and mandolin. We supply the caller who will teach all the dances and make sure everyone is having a good time! An evening event at the weekend with a three piece band would cost about £450. For more information call Kenny Wilson on 0782 564 0991 or email whiterabbitceilidhband@outlook.com giving details of event, date and place. We are willing and able to do bookings in the London, Midlands or North West areas or even further afield! Give us a call to find out. White Rabbit Ceilidh Band from Leicester U.K.